hi thank you so much for your post and choosing one of the most beautiful treks Manaslu. If you are flexible to join with us on (20 April 2019) let me know. I am original from Manaslu region and running own company (EXPLORE MANASLU P. LTD). 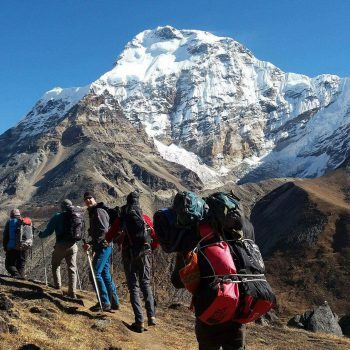 and doing the Manaslu circuit and Tsum valley trek for 22 days with oursclients. if you are interested to join it might be a good option please feel free and let me know. I hope we can find another trekker!